People will frequently say, "This makes a lot of sense. How often should I come and get my spine and nervous system checked?" Ask around and you will find that you probably know people who have been under chiropractic care for decades not just because they have had a problem but because they have experienced the benefits of Lifestyle Care. These people may be some of the healthiest people you meet and they are enjoying a lifetime of independence, free from depending on others because their health has failed. Too many people are suffering because they are crisis oriented when it comes to their health. Don't let this happen to you. It is easier, less expensive and more fun to stay well than it is to have to get well after you become sick or injured. 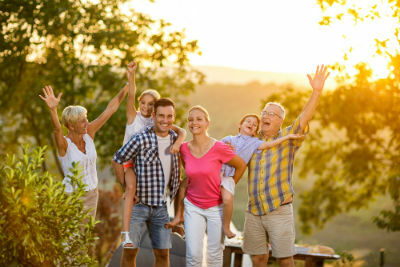 Make Lifestyle Care your top priority and enjoy your lifetime of independence.